Family exploration, here we come. My husband, Tom, and I enjoyed biking and hiking together back in our pre-kids days and we&apos;d talked for years about getting back into it someday. Well, that someday finally came, now that our son Brandon and daughter Amy can keep up. We visited Omaha last year, wanting to really explore the city using its amazing walking and biking trails. 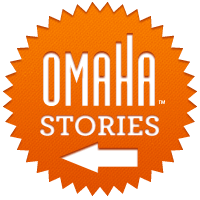 We knew it would be the perfect way to really get to know Omaha in a fun way. We&apos;re one of those planner-type couples, and not being familiar with Omaha&apos;s trail system, we wanted to make sure we would be sticking to paths that were paved and well-maintained for the benefit of our two young riders/walkers. So we did plenty of research ahead of time, and it was great to discover that Omaha&apos;s 120-plus miles of trails throughout the city are fully paved, and the terrain is manageable for two active but not super-fit thirty-somethings and our two children who were new to biking or walking extended trails. For our first excursion, we chose to warm up on foot at an iconic Omaha landmark: the Bob Kerrey Pedestrian Bridge. The curved bridge crosses the Missouri River between Omaha and Council Bluffs. Over the bridge and back, 3,000 feet each way, and logs over a mile. Since we were walking that day, we took our time to get across, about an hour round-trip. The path is a wide 15 feet across, and at 60 feet above the river, it felt like we were floating over it. The highlight for the older kids was a fun photo opportunity. "No way! Mom, look at this! Brandon and I are standing in TWO states right now!" squealed Amy. Tom snapped their picture, Brandon standing just in front of Amy, both with one foot in Nebraska and one foot in Iowa over that state line marked in the middle. And both had grins about as wide as the bridge itself. "This is so cool!" said Brandon. I think we could have stayed at the bridge all day, but we were getting hungry. We&apos;re definitely going to walk the bridge again, but the kids insist it has to be at night—other visitors told us the bridge lights up and it&apos;s open 24 hours. On Saturday under the sunshine, we rented bicycles from one of many rental locations in the city and set out along the nearby Omaha Riverfront Trail. The north section of this trail starts at Heartland of America Park, and "riverfront" it truly is, with a wonderful, unobstructed view directly to the river all along a fairly level route running north to Miller&apos;s Landing and then N.P. Dodge Park. Trees line the banks along most of the Iowa side; we enjoyed a lovely scene of blue sky and swift, sparkling water with greenery everywhere. As they were new to trail riding, I was happy to see how much Brandon and Amy enjoyed themselves as they pedaled along. I was proud of all of us, actually, for spending quality time together and connecting with nature for the afternoon. We followed the trail north to N.P. Dodge Park, a full-fledged recreational area with everything from picnic shelters to boat ramps. It was a great location to sit and have a snack break, and with all the boating and fishing going on, there was plenty to capture the kids&apos; attention. Amy was the first to notice an exciting moment. A fisherman relaxed in his boat nearby, fishing line placidly drifting in the water. Suddenly, his line went taut and he shot out of his seat, bracing the reel as he brought a fish in. Amy&apos;s eyes were wide with excitement as we watched the fish surface, scales glistening in the sunlight. I had a feeling she would remember that moment for years to come. The Riverfront trail joins the Missouri River Trail here at the park and extends many miles north well past the city limits, so we decided this was a good point to circle back. There&apos;s a second section of the Omaha Riverfront Trail that runs between downtown and an area near the South Omaha Veterans Memorial Bridge; we&apos;ll explore that part of the trail on our next visit and catch the stunning views of the Omaha skyline to the west. But since we were returning to our car downtown that day, we ended our adventure with an early dinner in the Old Market, a historic neighborhood full of unique shops, boutique, pubs and restaurants. Omaha Riverfront Trail...with a wonderful, unobstructed view. The mild weather held up through the next day and we were eager to get out on our bikes again. So, on a whim, we decided to explore the city via an urban trail. The Keystone Trail is actually the oldest trail in the city and runs through some of the most bustling and exciting parts of town, but we figured we were experienced enough now to handle navigating traffic. Turns out we didn&apos;t need to worry about any of that, because this smooth, easy trail goes under the road in the busy areas! From its northernmost end to its southernmost end it&apos;s about 24 miles, and there&apos;s so much to see, everything from open fields and lazy creeks to businesses hubs and historic neighborhoods. We weren&apos;t ready for the full 24-mile trek just yet (that would be 48 miles round-trip), but the beauty of an easily accessible trail like Keystone is any section can be enjoyed on its own. "Mom, can we bike on another trail today? A bigger one?" pleaded Amy and Brandon. Pumped with confidence from our successful first outings, we were all eager for a bigger trail expedition on our final full day. We chose the West Papio North Trail because it runs through a nice cross-section of the city: residential areas, public parks, even some commercial developments. When we learned it&apos;s about 13 miles total, we were determined to ride at least half. Tom and I knew that it would be a great challenge for the kids as new riders, but we were confident that we could do it. And we did. Before our visits to Omaha, I would have never envisioned us as a family of cycling enthusiasts spending our weekends out on the trails instead of in front of the television. It&apos;s been a joy to see my kids—and Tom and me, too, frankly—go from merely willing to fully eager to get out and explore the outdoors whether it&apos;s on food or bicycle. We&apos;ve all developed a deep appreciation for learning about our outdoor environment, and have Omaha&apos;s amazing trail system to thank for that. Discover your spirit of exploration with Omaha&apos;s visitor guide.